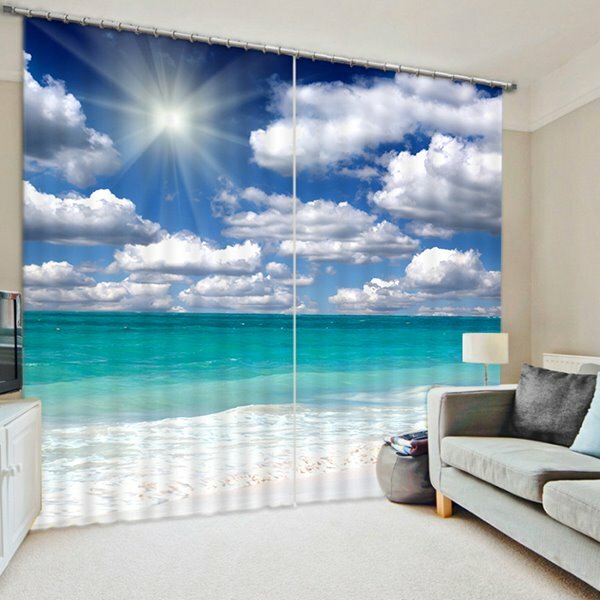 This 3d curtain not only adds vitality but also blocking sunlight for you. The picture with blue sky and white clouds in the seaside will be a great decoration to your home. it features freshness elegance and fashion as well as with dust-proof blackout and waterproof functions.